The City as a Project | The Politics of Sacred Space. End-of-term presentations. After decades of neglect within the field of architecture and urbanism we want to re-open the issue of sacred space. In architecture, ‘sacredness’ is either ignored as an irrational sphere, or it is reduced to stereotypes of spirituality and contemplation. 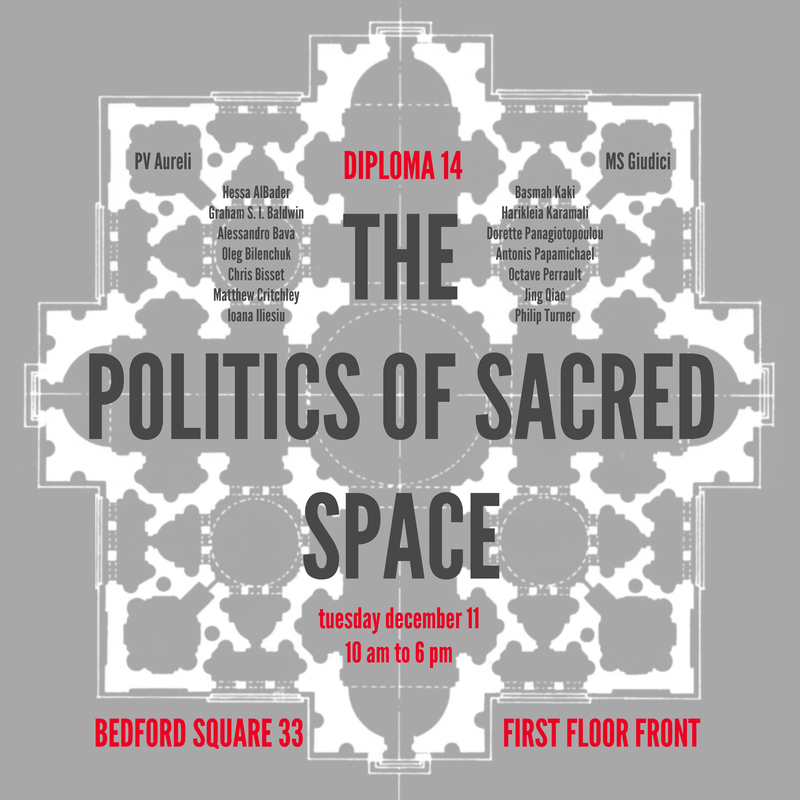 In its attempt to reconnect architecture to the political, Diploma 14 proposes to focus on one of its most intense manifestations – the issue of sacred space. If the political concerns difference and conflict as collective phenomena, it is within the category of the sacred that this concept acquires its most potent representations. It is possible to speculate that the very origin of the city as political space was precisely the foundation of a sacred space, a sanctuary. The sanctuary was a space set apart within an open territory and as such the safe meeting point for different clans or fugitives. The sanctuary was both open to different subjects and parties and closed in order to preserve its safety and difference towards everything outside itself. The dialectic of openness and exclusion implied in sacred space is thus one of the most ancient manifestations of the political. Therefore it is precisely by examining the issue of the sacred that we can trace back many latent conditions that still affect the city today as political body. For example, if in contemporary discourse words such as community, participation and publicness have become clichés, it is within the idea of sacred space that they reacquire an intense meaning. Moreover, it is by studying the different forms of worship inherent in each religion that we can grasp the ethos of a civilisation. The work in the unit will depart from an in-depth study of the category of the sacred from ancient to contemporary times, and will pay special attention to theological concepts and forms of worship as foundations for political and spatial organisation of the city. Above all we will study how sacred space highlights the crucial link between architecture and the city. As always Diploma 14 will address the unit project by giving relevance to drawing and writing as fundamental means of design.